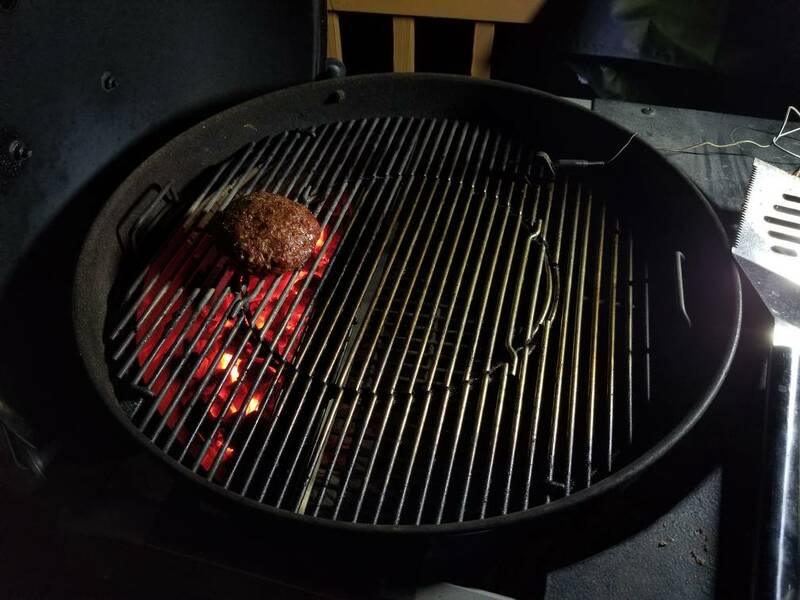 Decided to attempt the juicy Lucy burger. Made only one Lucy burger and 2 1/4lb cheese burgers. Yummy! What's a Lucy burger? Matt’s Bar & Grill, now a Minneapolis landmark, began in 1954 as a neighborhood burger eatery. Shortly after we opened, founder Matt Bristol explains how the “Jucy Lucy” was created when a local customer asked for two hamburger patties with a slice of cheese in the middle. Upon biting into this new, molten hot burger, he exclaimed “that’s one juicy Lucy”, and a legend was born. Customer demand grew so quickly, we forgot to add the “i” and the “Jucy Lucy” has now become a local culinary hero. Remember, if it’s spelled correctly, you just might be eating a shameless ripoff! Matt's has received numerous awards, and has appeared in publications from Hamburgers Across America to the The New York Times. Matt's has been featured on the Travel Channel's Man Vs. Food and Food Wars, where we won the best tasting "Jucy Lucy" in town. Each "Jucy Lucy" is carefully handmade with the freshest, high-quality beef and filled with the molten hot cheese you can only find at Matt's. Once you've had our "Jucy Lucy", you'll understand why our motto is "Fear the Cheese"! When I worked for Honeywell years ago, my boss would drive the team (4 of us) to Matt's every Friday for a JL and a beer for lunch. So good. If you are close; GO! Matt's bar definitely has the best Lucy! I like making them myself too, something about the cheese in the middle just makes it better. Oh man that looks so good! Looks like you stuck string cheese sticks in there!